British boxing champ of Pakistan origin Amir Khan goes from the boxing ring to a wedding ring as he gets hitched in New York. 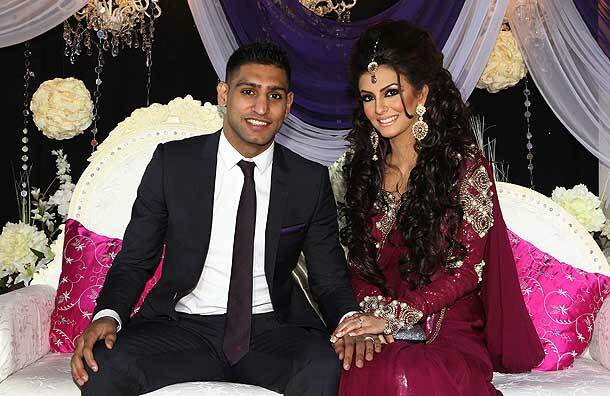 Boxer Amir Khan has wed his American fiancée Faryal Makhdoom in a lavish ceremony in New York City. The Olympian, 26, and student, 21, tied the knot in front of 400 people at the Waldorf-Astoria Hotel in Manhattan on Saturday. According to the New York Post, the couple's big day have cost $1million and the boxer even showed the moves he's got beyond the boxing ring. The couple in a photo on Amir's Instagram page just a week ago. Amir performed some Indian Bollywood dance routine in front of 350 guests. He and his gang of boys have been practising the dance number for quite some time. The 26 year old will also hold a huge ceremony in his native Bolton, England for 4,000 guests, including his fellow fighters Ricky Hatton and David Haye. 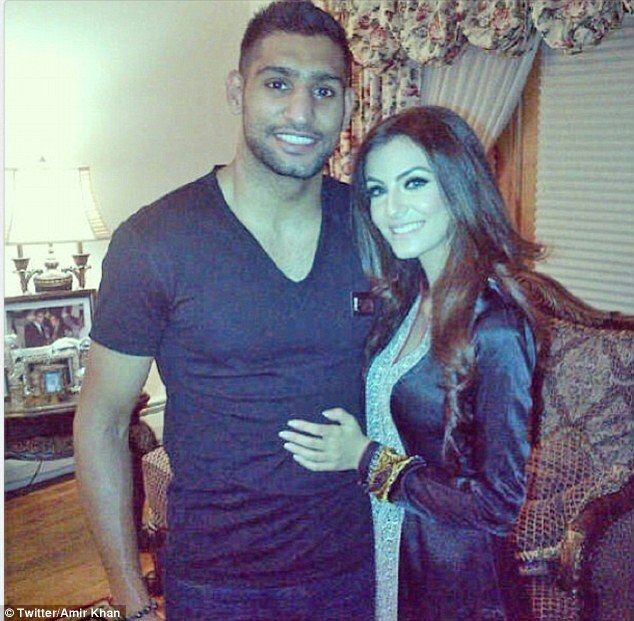 Khan proposed to the beauty in 2011 with a $160,000 diamond ring. Amir Khan and Faryal Makhdoom's wedding photos will be released via Hello magazine. Taking to Twitter following the ceremony, Faryal wrote: 'Mrs. Khan. On Friday, she had written excitedly about her Mehndi night, a pre-wedding tradition for the bride to have her hands and arms decorated in intricate henna designs. Amir's yonger brother Haroon Khan ‏also congratulated the couple on Twitter, "Amazing wedding a night never to forget congrats to my bro @AmirKingKhan and my new sis @FaryalxMakhdoom love you loads! X". Amir and Faryal have had a long-distance romance over the past 18 months, but she is thought to be moving to Bolton now they have wed. Following their engagement in January 2012, they held a star-studded engagement party for 1,000 people at the Reebok Stadium in Bolton. White Baby Shower: Kim Kardashian, Kanye West expecting a baby girl!